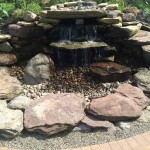 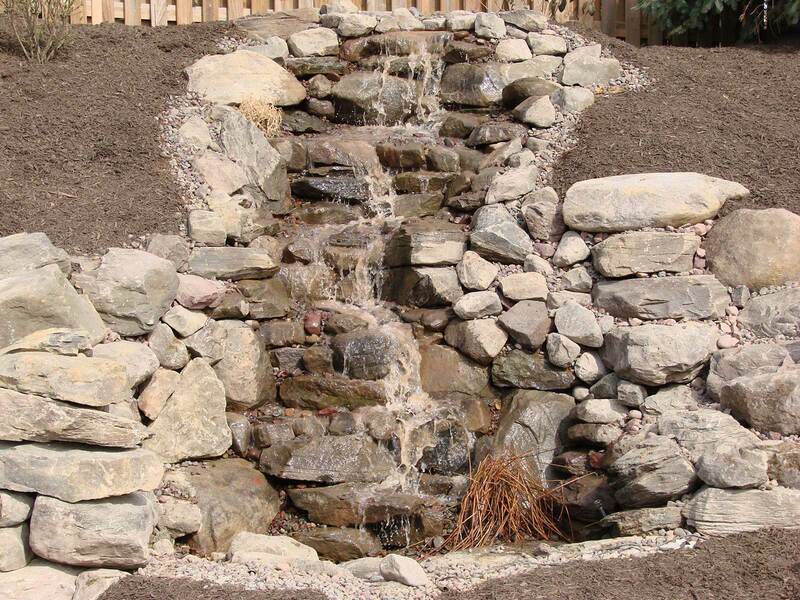 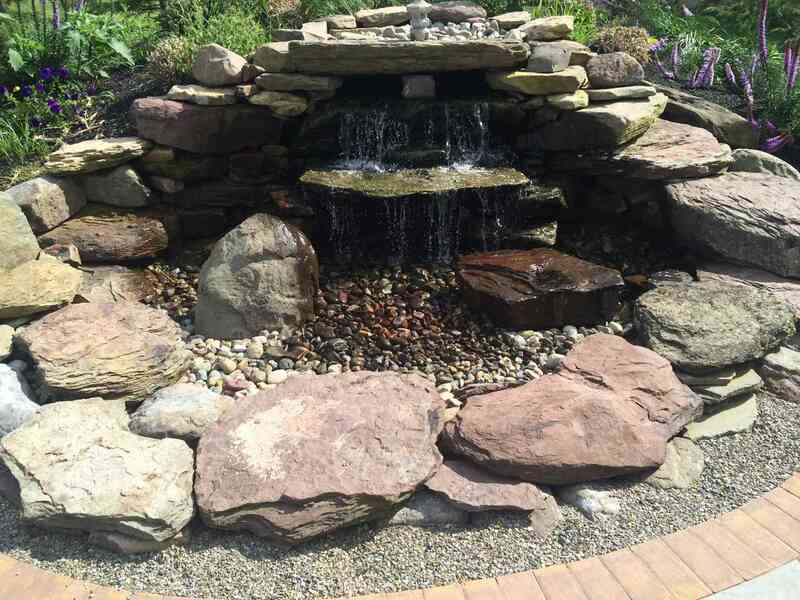 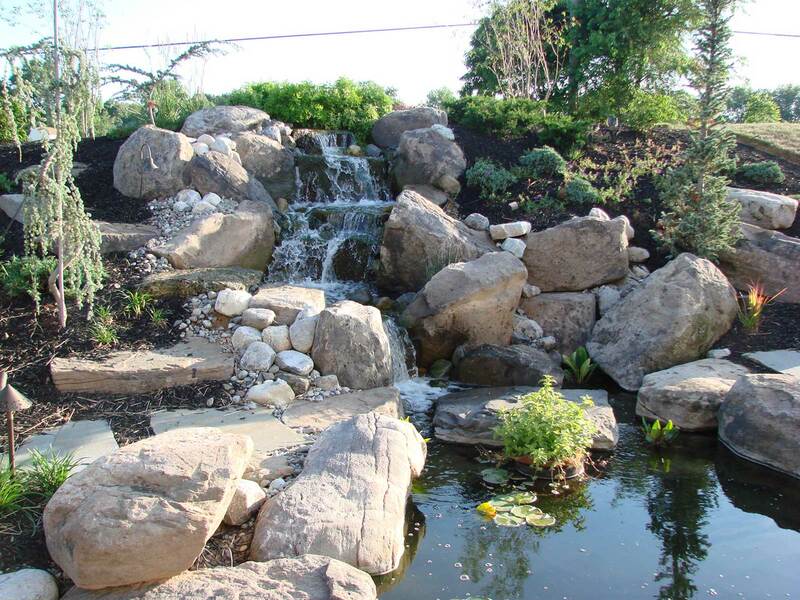 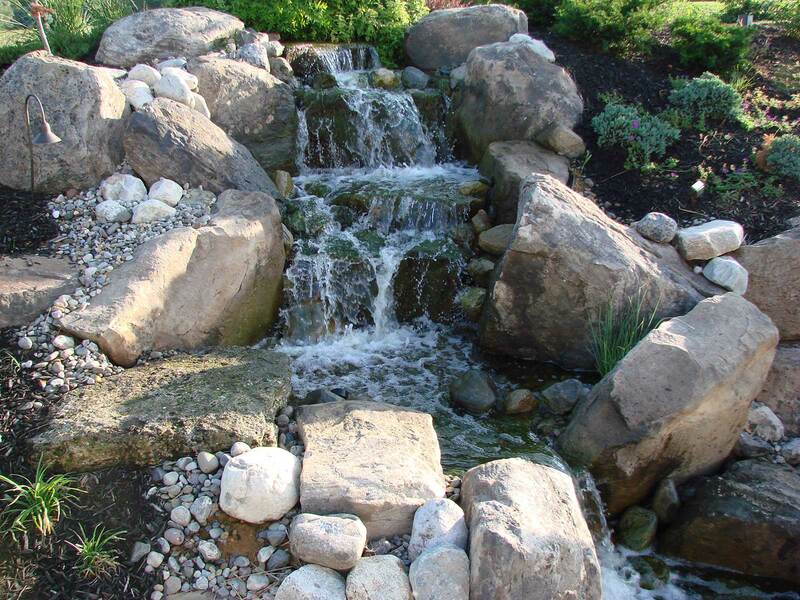 Rhine Landscaping offers flowing streambeds, fountains, bubblers, waterfalls, Koi ponds and pondless water features make a landscape come alive. 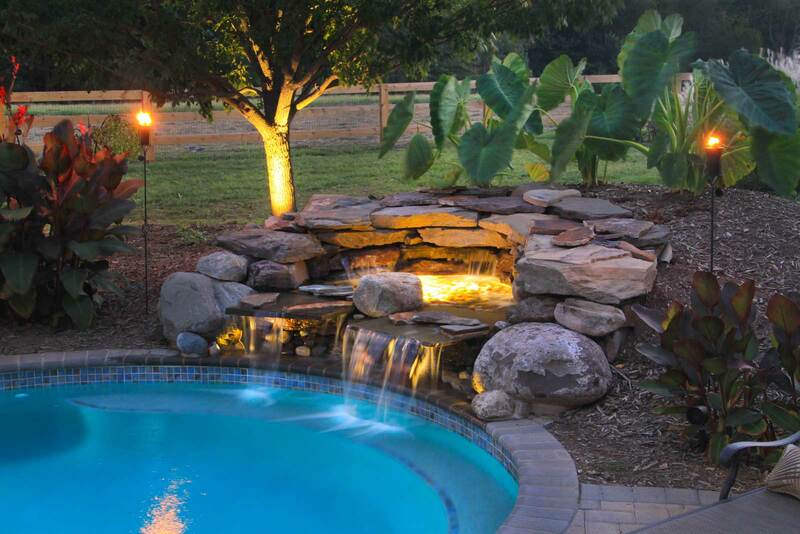 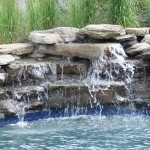 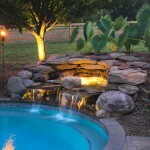 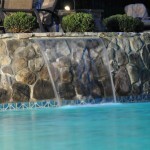 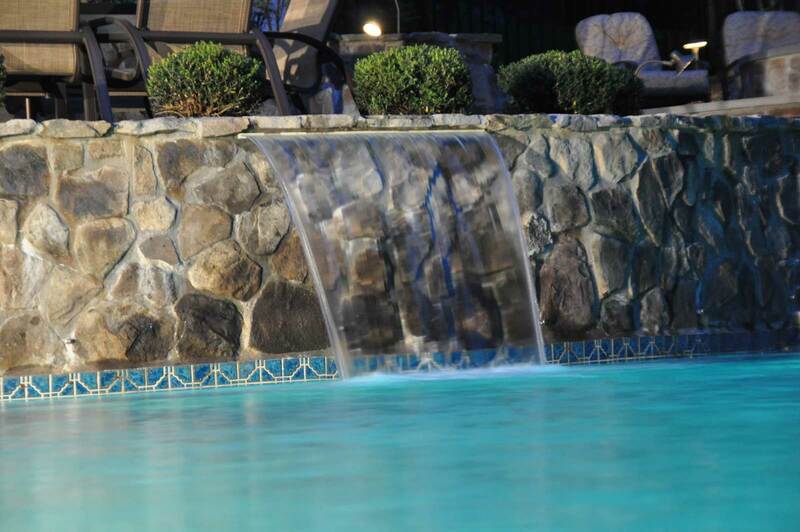 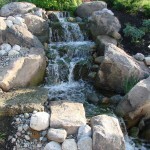 Many clients choose to incorporate the soothing sounds of moving water into their landscape. 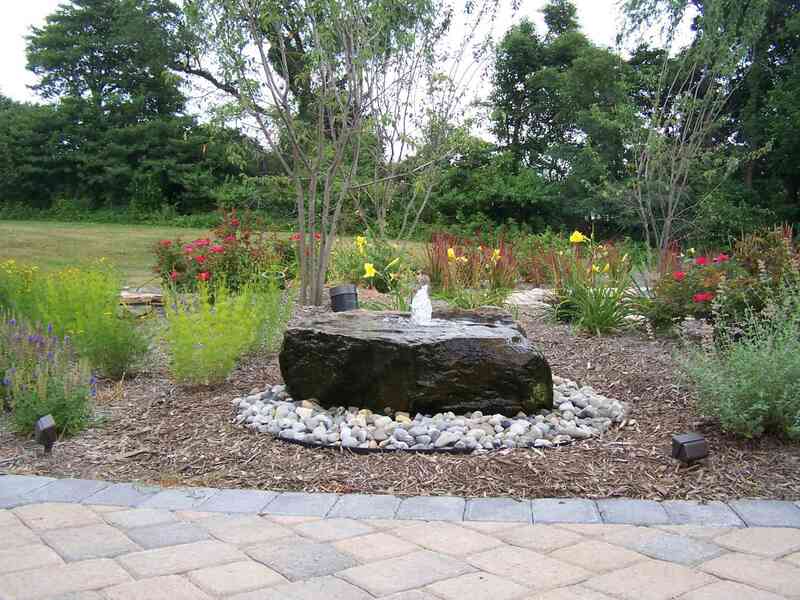 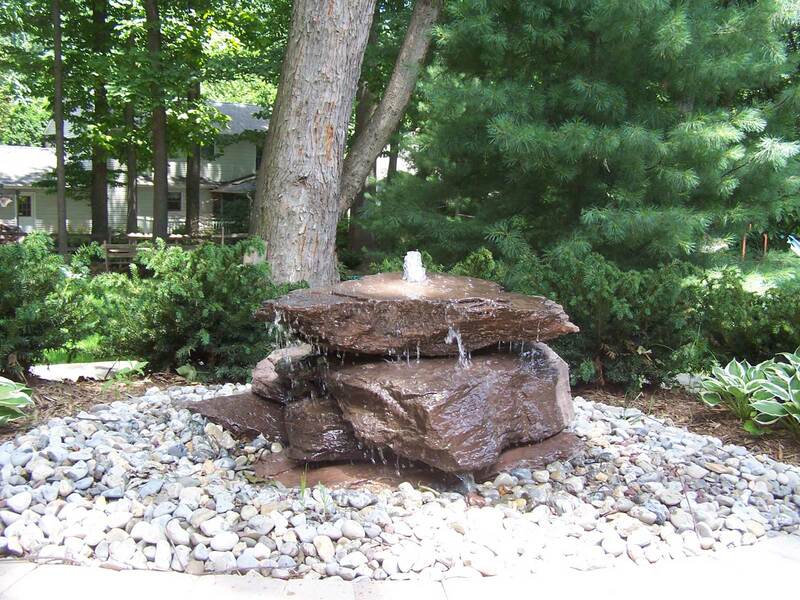 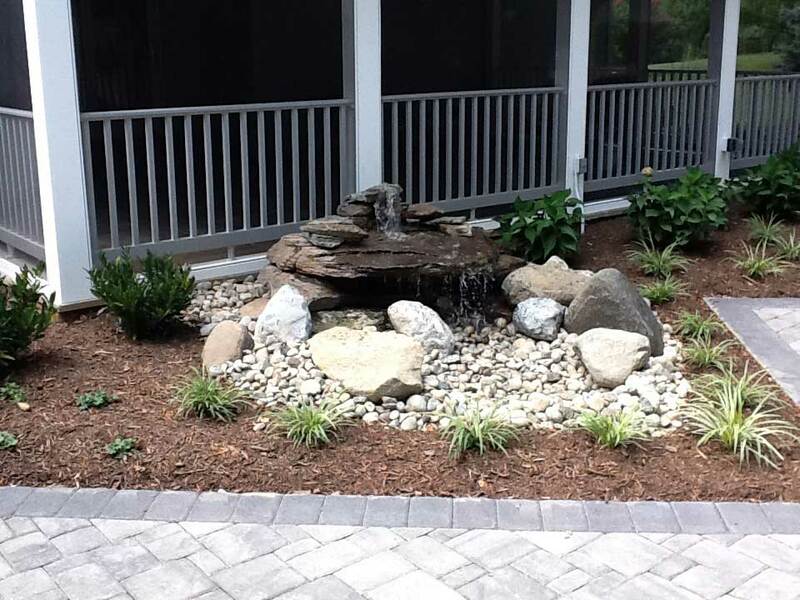 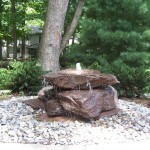 Pondless water features, a more recent trend, offer clients the look, feel and sounds of water without the maintenance and liability of a pond. 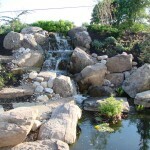 The water falls into a gravel bed and is then recycled through a reservoir. 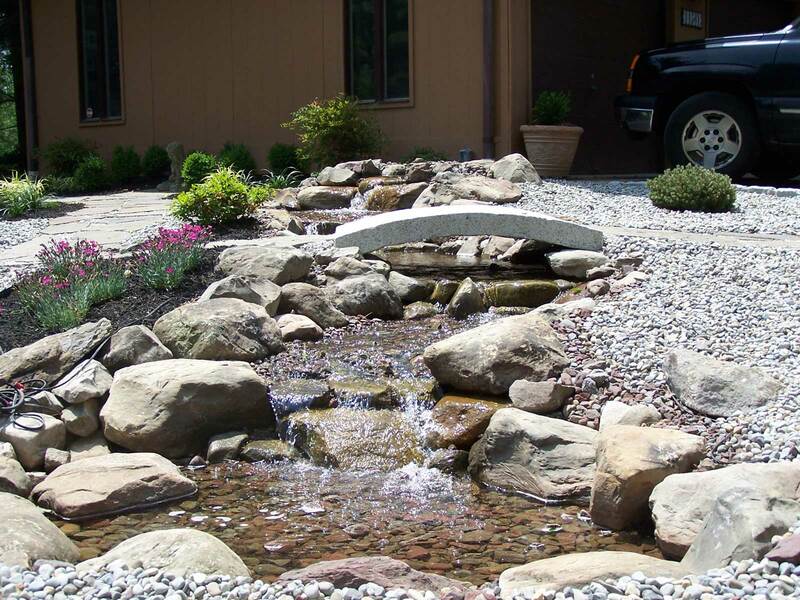 No standing pond water means a safer environment for children, no chemical upkeep, and no regular maintenance. 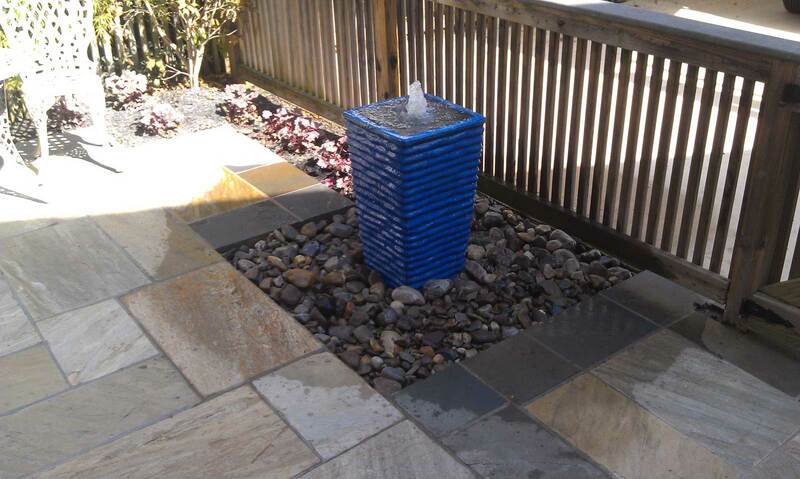 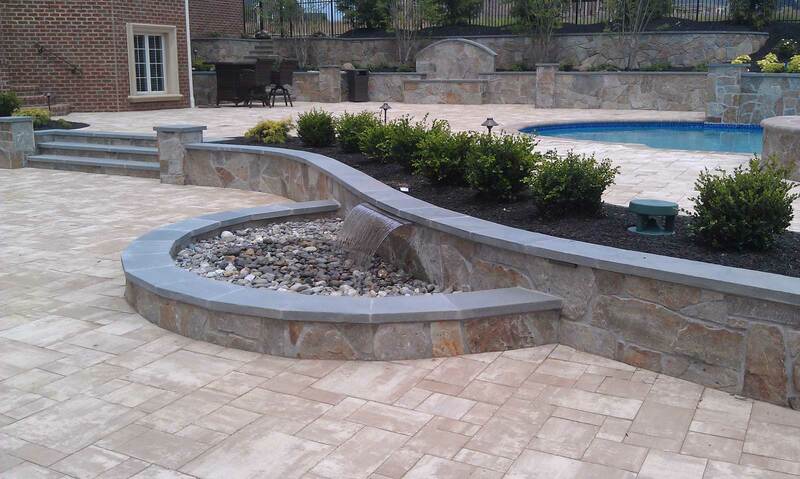 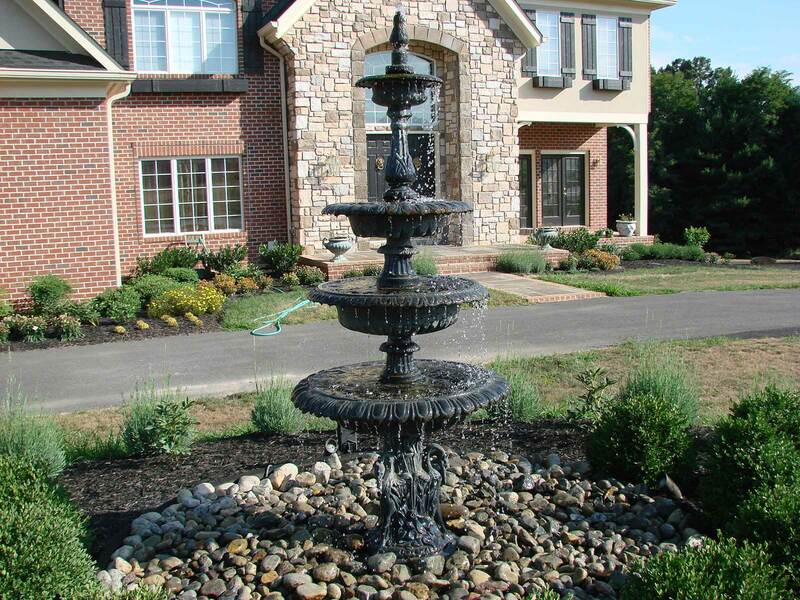 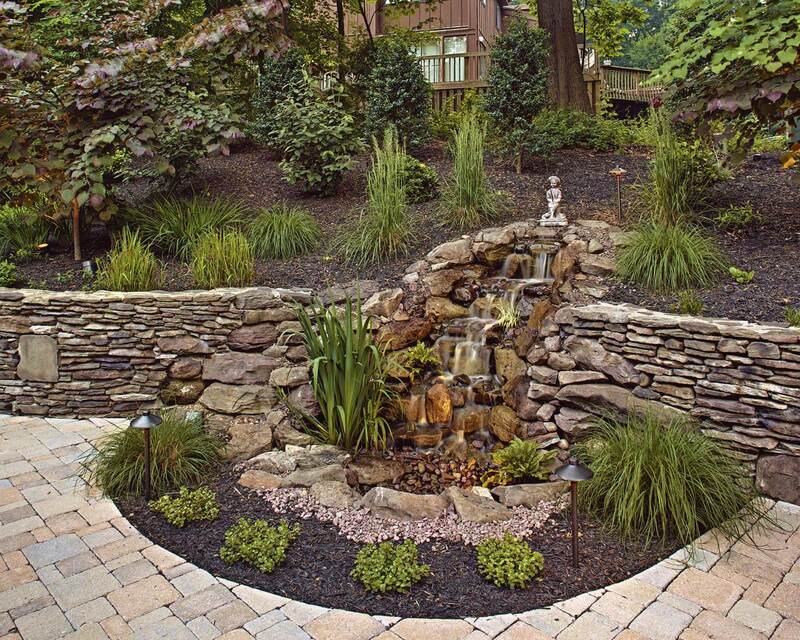 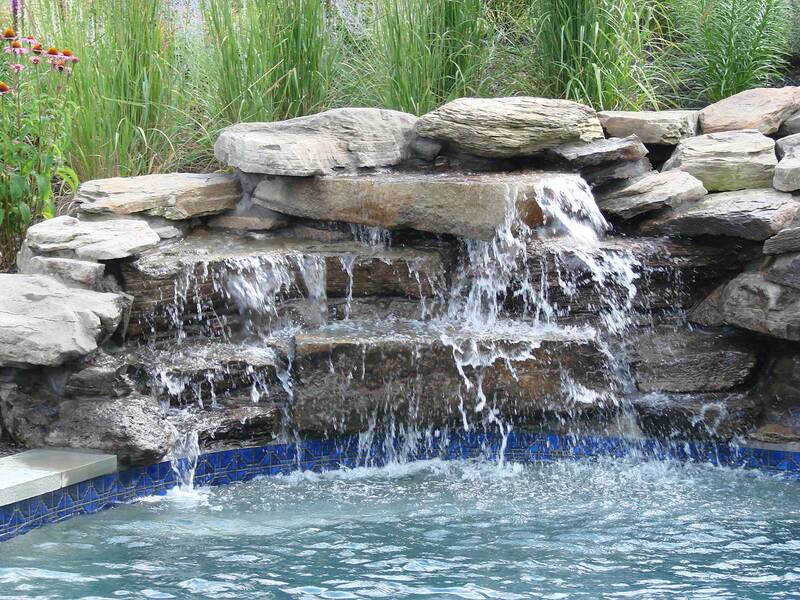 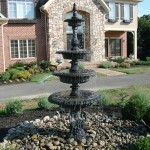 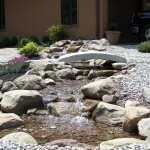 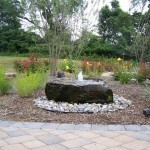 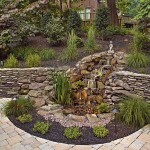 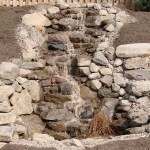 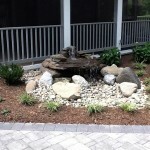 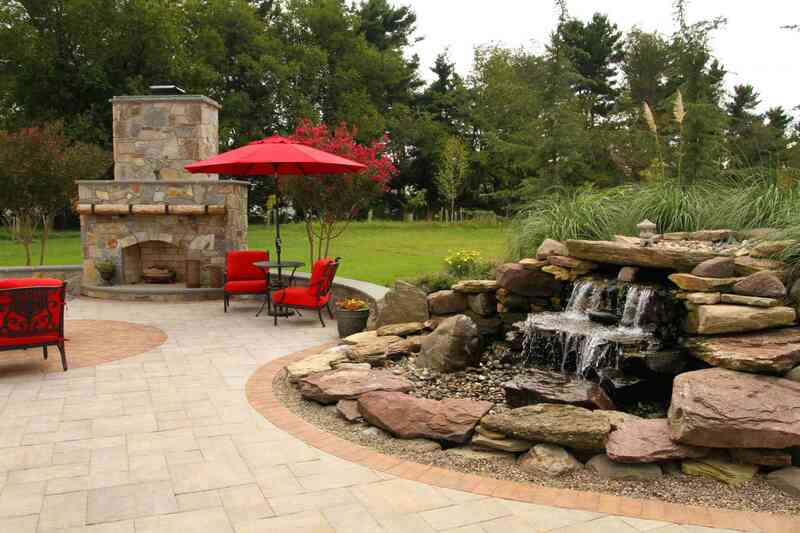 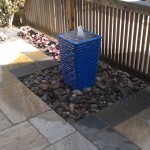 Call Rhine Landscaping today at 410-442-2445, if you are looking for new water feature. 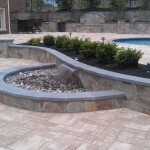 We can also assist you with your landscaping, hardscaping, and swimming pools. 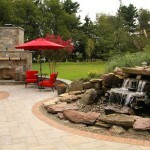 Our designers and landscapers can turn your dreams into reality.